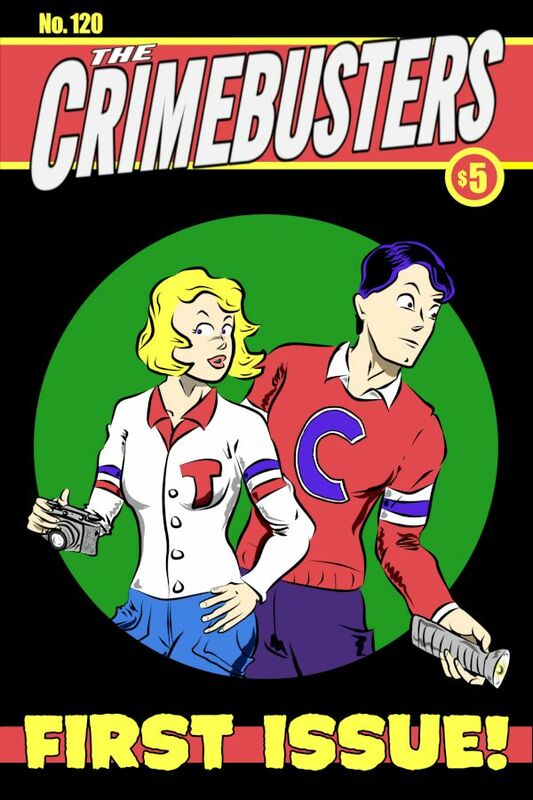 The Crimebusters #120 - sneak preview now available! I'm excited to announce that you can now read a sneak preview of the first six pages on my website here! I've also created a Facebook page if anyone is interested. I'm going to be creating a mailing list too, but I haven't quite got that figured out yet. But if anyone wants to be put on it, the website has a "Contact Us" button you can hit to send me a message. I'll be streamlining this at some point. Right now I am expecting to have the whole 30 page story completed in about 3 weeks. I have 9 pages done, and 21 left to add inking and shading to. I'm tentatively aiming for the first week of June to launch the Kickstarter, but we'll see — I'll definitely be announcing more about that as soon as it's solidified. Previous entry The Crimebusters #120 update - font choice and finished artwork! The cover looks great, thanks for the preview too.